Media Content, both folders and items, are ordered both in the Admin Portal and the Webapp/App by Alpha Numeric values. etc, with the numeric value at the start dictating the order. 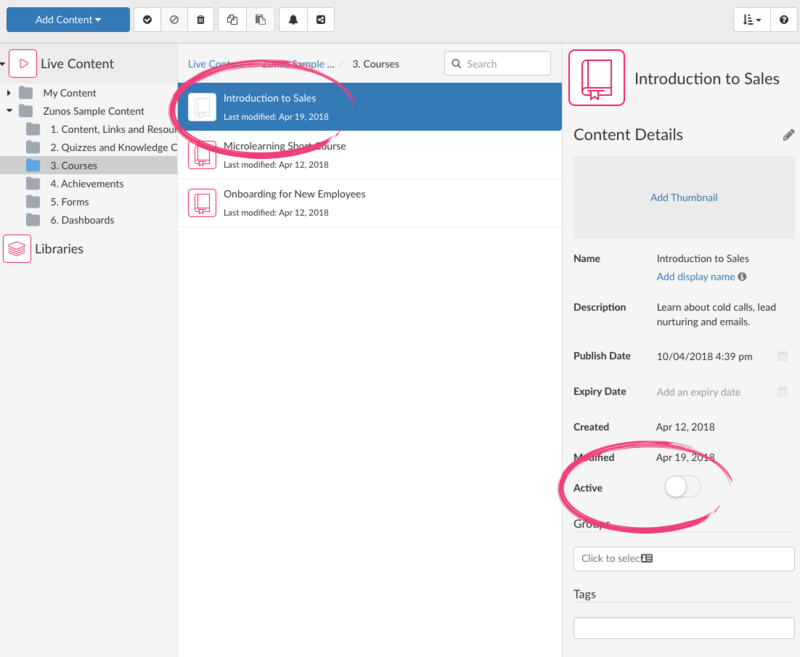 After you upload, build or create content in the Admin Portal you will need to make it active in order for it appear on the app for your learners or users. 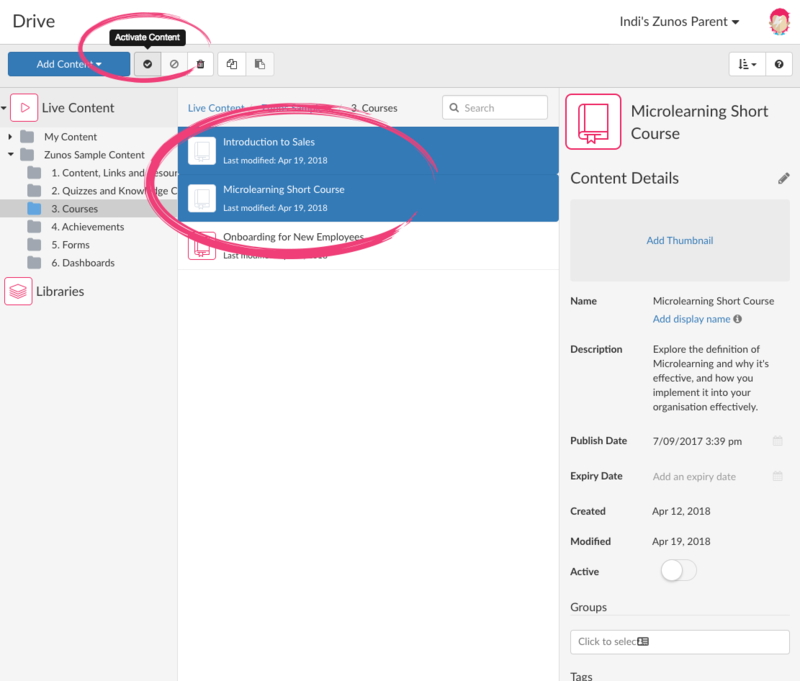 If you have a number of content items to activate, activate them all at once by holding down the Shift key and selecting multiple content items or folders. Or hold down the Command key to select individual items in the list that are not beside each other. 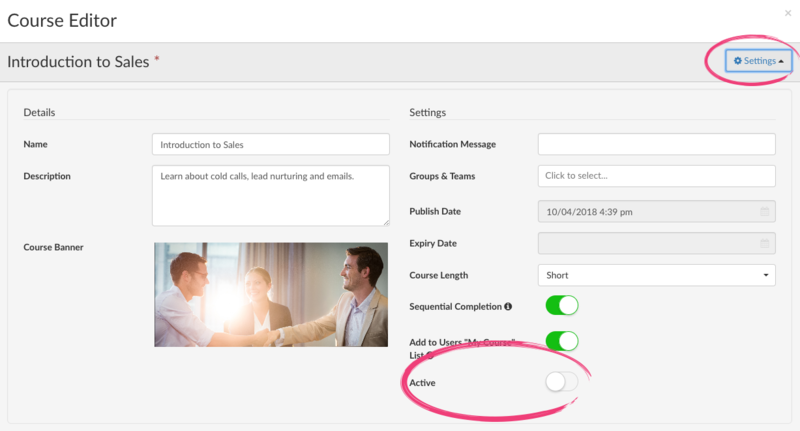 Now click the activate content icon in the tool bar beside the Add Content button.